One night Melanie walks through the garden in her mother’s wedding dress. The next morning her world is shattered. Forced to leave the comfortable home of her childhood, she is sent to London to live with relatives she has never met: Aunt Margaret, beautiful and speechless, and her brothers, Francie, whose graceful music belies his clumsy nature, and the volatile Finn, who kisses Melanie in the ruins of the pleasure gardens. And brooding Unlce Philip loves only the life-sized wooden puppets he creates in his toyshop. 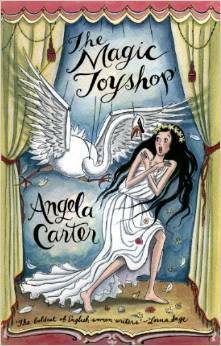 This classic gothic novel established Angela Carter as one of our most imaginative writers and augurs the themes of her later creative work.